Below are important definitions that make dental insurance understanding easier. annual benefit – how much each calendar year the carrier pays on your behalf for services. Think of it as a bucket of money. This money pays the dentist for the carrier’s share of services. It is based on the contracted insurance cost, not what the dentist may charge to someone coming off the street. deductible – what you pay first before the dental plan pays. Most deductibles are $50 and $100; however, there are a few $0s. preventative services – consists of cleanings, office visit, and x-rays. If you go to an in-network dentist (more later), the plan typical covers 100% of the cost. basic services – consists of fillings and extractions. Some carriers also include x-rays here. major services – consists of crowns, root canals, dentures, etc. waiting period – time period before you use services. Most plans have immediate coverage on preventative, 6 months on basic services, and 12 months on major services. If work is done during this waiting period, the insurance does not cover. in-network dentists versus out-of-network dentist – this is an important component to understand. In-network dentists contract directly with the carrier. They agree to their insurance pricing. Out of network dentists do not agree to the insurance pricing. Instead, they may balance bill you. balance billing – the practice of an out of network dentist billing you the difference between his or her price for a procedure and the payment from the insurance carrier. These are a few of the dental insurance basics which we expound within the article. It is important that you go to an in-network dentist where possible. The reason is the carrier requires the dentist to charge you the insurance fee. Let’s say your dentist “retail” price is $100 for a filling. He is in your dental insurance network. The insurance cost of the filling is $25. If the insurance carrier pays 80% for a filling and you pay 20%, that means you only pay $5. That is a lot better than paying $100! If you do go to an out of network dentist, you will face balancing billing (described earlier) and a UCR fee. UCR means Usual, Customary, and Reasonable. This pertains to how dentists in your area charge for a certain procedure. The insurance company looks at the UCR fees in your area and bases their cost sharing or reimbursement off this fee. UCR is usually with out-of-network coverage and with indemnity plans. You’ll want to go to an in-network dentist as in-network insurance coverage usually has better contracted rates. We’ll show an example of that in a minute. The insurance covers cleanings or preventative care at 100%. Basic and major services are covered at typically 80% and 50%, respectively. What does this mean? If you go to an in-network dentist for a tooth filling (80%) whose contracted rate is $100, you’ll have to pay $20 out of pocket ($200 X (1 – .80)). The carrier pays $80 to the dentist. If you go to an out-of-network dentist, then the plan usually pays based on the UCR fee. For example, if the dentist charges $250 for the filling, but the UCR in your area is $150, you could end up paying more. In this case, $130: ($250 – $150 X (.80)). The carrier still pays 80%, but 80% on $150, not $100. This also introduces the concept of balanced billing, which, as we defined earlier, means paying the dentist the cost difference between their “retail” rate ($250 in this case) and the cost-sharing insurance rate ($120). This is why, most times, it is more advantageous to go with an in-network dentist. There are really three types of dental insurance for non-US citizens. They have many similar attributes, yet differences which we describe throughout this article. The right dental insurance depends on the non-US citizen’s situation. We discuss that next. (1) traditional dental insurance with in and out-of-network, cost sharing, deductible, and copays. Traditional insurance can either be an in-network plan or both in and out-of-network (PPO). (2) indemnity insurance plans which will pay a benefit directly to you or the dentist. It doesn’t usually matter which dentist you go to. These plans pay a fixed benefit or a percentage benefit regardless of what the dentist charges. These are useful if your dentist doesn’t accept insurance and you want some coverage. We describe next these types of dental insurance for non-us citizens next. This means these services are covered at the insurance cost, not the dentist’s “retail” cost. If you go to an out of network dentist, the carrier likely won’t cover you at these insurance percentages. Moreover, you have exposure to balance billing as well as UCR fees. These plans make sense for undocumented immigrants and those without social security numbers. We work with plans that do not ask for a social security number on the application. Visitors here in the United States, on a VISA for instance, would have other options. These plans pay a fixed dollar benefit regardless of the dentist charges. In other words, you really can go to any dentist and receive a benefit. These make sense when the dentist you see doesn’t take insurance. Will you still have to pay balance billing? Maybe. Maybe not. Since these plans do not require a dentist, you don’t need to inform the dentist of the insurance. You can simply negotiate the cash price with the dentist and then file the claim directly with the carrier. For example, let’s use that filling example again. The dentist’s retail price is $150, but you negotiate at $100 and pay $100 out of pocket. You then file a claim with the carrier. The carrier pays 80% of the UCR fee. The UCR fee is $80. The carrier pays you $64 (80% of UCR). Your net expense in this is $36 ($100 what you paid minus $64 what you received). These plans make sense for undocumented immigrants and those without social security numbers. We work with plans that do not ask for a social security number on the application. Visitors here in the United States, on a VISA, for instance, would have other options. 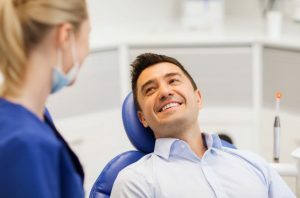 What are discount dental plans? They provide you with a network of dentists and dental specialists that offer their services at a discount. The discount can be as much as 60% to 70% off the UCR fee. You pay a very low monthly or annual fee, such as $10 per month. In return, you pay per a fixed fee schedule which the dentist or specialists agree to. It sounds like insurance, but it is not. This is not insurance. Rather, the participating dentist provides a discount for his or her service rather than passing the service through insurance. The downside is that you have to pay the amount at the time of service. These are more beneficial to visitors here in the United States, let’s say a person on a travel VISA or a student VISA. However, undocumented immigrants and those without a social security number can use it, too. Additionally, these plans offer other benefits such as vision services, prescription medication, and doctor tele-video services. Even though you are a non-US citizen, dental insurance is available. It is available to undocumented immigrants and those who do not possess a social security number. What would you like to do next? Contact us to use the form below if you would like our help. If you have a dentist, we can look them up and see what is available. As with everything we do, we only work in your best interests.